Zachary Bayly of Shepton Mallet sold the Lordship of the Manor of Martock to two brothers, Henry and John Slade of Ash, in 1759. In 1779 Henry left his share to John who, by will of 1781, gave it to his daughter Ann Slade, who was recorded as Lord in 1793. 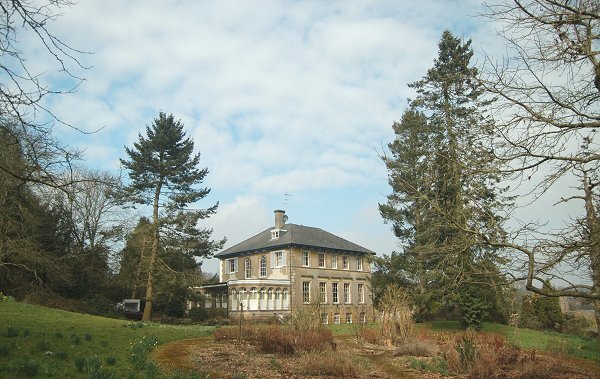 Her son, George Slade (1765-1845), occurs as Lord in 1798, but by 1811 the manor had been sold to Robert Goodden of Over Compton, Dorset. George Slade and his wife Betty née Ball (1765-1851) lived on the Ash Boleyne estate where their son John was born in 1799. In 1826 John Slade was listed as an agent for the Alliance Fire & Life Insurance Company in the Quarterly Review (London) and again in 1828 in the Edinburgh Review. Pigot's Directory of 1830 listed him as an Attorney of Reckleford (today's Market Street). John was a member of the Yeovil Vestry and also a longstanding member of the Yeovil Lodge of Freemasons. He was initiated in 1822 and was Worshipful Master in 1829/30 and again in 1936. On 23 May 1830 at Yeovil, at the age of 31, John married 20-year-old Mary Penkivil, only daughter of Dr John Penkivil of Yeovil and Martha née Jones. John and Mary were to have nine children; John Penkivil (1831-1832), George Penkivil (1832-1896), Sarah Martha (b 1833), Susan Elizabeth (b 1835), Mary Jane Penkivil (b 1837), Frances Grace (1838-1899), Emily Anne (b 1840), William Ball (1843-1938) and Helen Isabelle (b 1847). As a sidenote; William Ball Slade later became a famous Australian stud breeder. He was educated at Sherborne School and, after some legal training, emigrated in 1861 to Sydney, Australia, where his elder brother George was practising as a Solicitor. In 1831 there were riots in England when Parliament decided against reform to give Britain's industrial cities and towns better representation. many of the solicitors in Yeovil were active anti-Reformers and had been professional election agents of Lord Ashley. Consequently they were the first to be singled out by an angry mob on the night of Friday, 21 October 1831, in what was to become known as the Yeovil Reform Riot of 1831, who attacked the home of John Slade as well as the homes of Edwin Newman, William Lambert White, Francis Theophilus Robins and Edwin Tomkins. John Slade was in partnership with Yeovil Solicitor William Lambert White. The partnership was, however, dissolved in 1833 and announced in the London Times. In 1837 John was listed in a House of Commons Private Bill concerning Railway Subscription Projects, as an investor in the 'South Western, or Kingsworthy & West Monkton Railway', subscribing £250 (about £27,000 at today's value using the 'historic opportunity cost' of an investment project). John Slade had two listings in the Somerset Gazette Directory of 1840; the first was as Attorney of Penn House, Penn Hill and the second was as an agent for the Alliance Fire & Life Insurance Company at the same address. In the 1841 census John and Mary, together with children George, Sarah, Susan, Mary, Frances and Emily were listed living at Penn House together with two articled clerks, a governess and four female domestic servants. John listed his occupation as a Solicitor. The situation was all but identical in 1851 where John gave his occupation as Attorney and his son George gave his as a Solicitor's Articled Clerk. During the 1840s John entered a partnership with James Tally Vining of Kingston House, the partnership was known as Slade & Vining. Hunt & Co's Directory of 1850 listed them three times, all as at Church Lane (an early name for Church Street), actually in today's 4 Church Street; as Attorneys, as agents for the Alliance Fire & Life Insurance Company and as agents for the the Atlas Fire & Life Insurance Company. Slater's Directory of 1852 listed Slade & Vining as Attorneys of Church Street and also as agents for the Property Protection Society Fire & Life Insurance Company. Unfortunately the firm of Slade and Vining, attorneys and money scriveners (that is, being in the business of arranging for the loan of money to others) got into financial trouble and the firm's bankruptcy was announced on 19 October 1857 in the London Gazette. In 1859 and 1860 there were announcements of "dividends" of 4s 7d in the pound in 1859, 2s 5¾d in 1860. After this break-up of the firm, Vining moved to London. In the 1861 census John was living in Church Street with sons John and William, together with a servant (there was no mention of Mary in this census). John gave his occupation as Solicitor and both his sons were listed as Articled Clerks. From their position in the census it would appear that they were in 4 Church Street. This is confirmed in the 1871 census where John's premises is listed immediately opposite to the Institution Hall. In this census John, aged 71, and Mary, aged 61 were living with their three unmarried daughters Mary, Frances and Helen aged 34, 32 and 24 respectively, a cook and a housemaid. During the next decade John retired, and he and Mary, together with daughter Frances, moved to 93 Alexandra Road, Hampstead, London, where they lived with a cook and a housemaid. John listed his occupation as Retired Solicitor. John died at home on 12 December 1882. His will was proved the following January and his personal estate was valued at £13,070 (around £9 million at today's value). John Slade's signature against the Vestry minutes of 29 December 1831. Below are tabulated the land holdings of John Slade from the 1846 Tithe Apportionment. His total acreage was 8a 3r 21p with his Penn House estate being 5a 0r 8p of that. Penn House, home of John Slade from at least 1840 until after 1851. 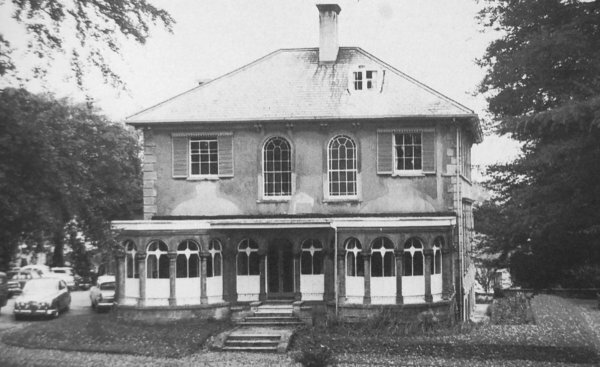 South elevation, photographed in 1968.